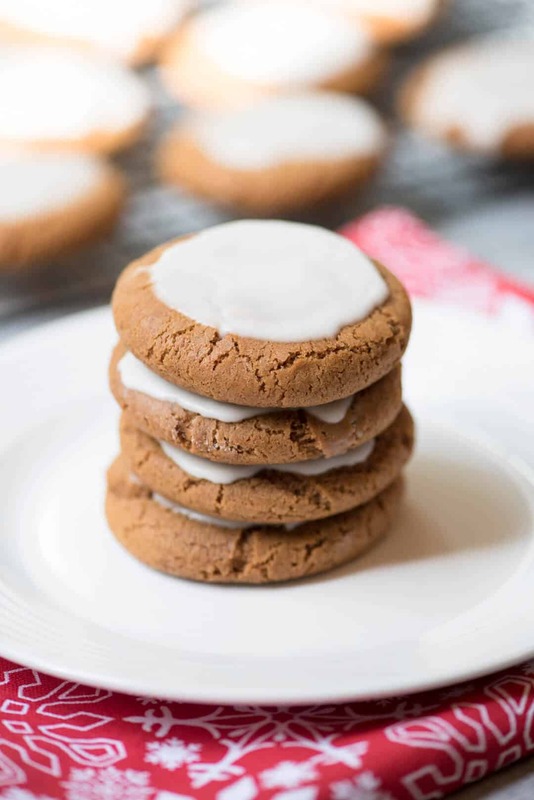 These Chewy Iced Molasses Cookies are at the top of my list of Christmas baking favorites. 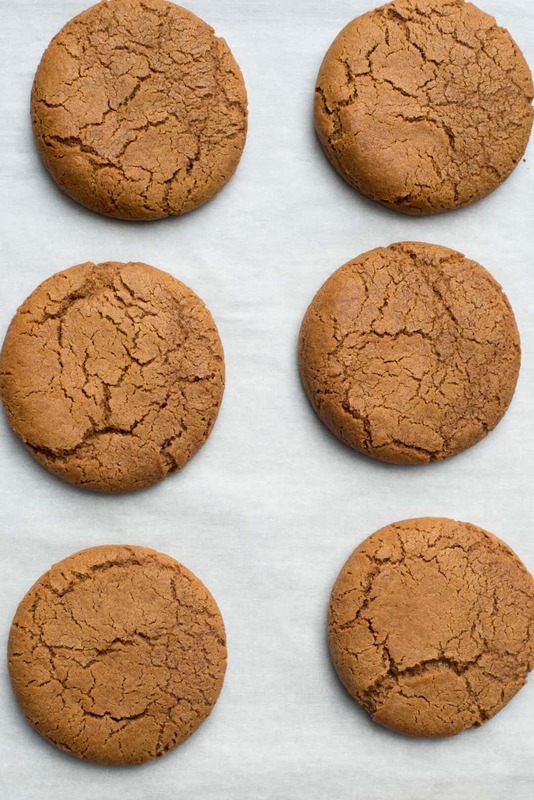 They have a fabulous soft and chewy texture and are filled with the classic flavors of molasses, cinnamon, and ginger. These cookies are filled with nostalgia for me. They remind me so much of the gingerbread boys my mom baked each and every Christmas season. I loved those boys! I have vivid memories of walking home from school on a cold December day to my very warm and cozy house, all lit up with Christmas lights (Mom loved those lights! ), and the smell of molasses and cinnamon greeting me as soon as I opened the door. 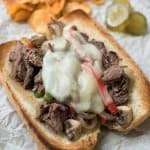 But, the fabulous thing about this recipe is that you get all that nostalgic flavor with far less work. 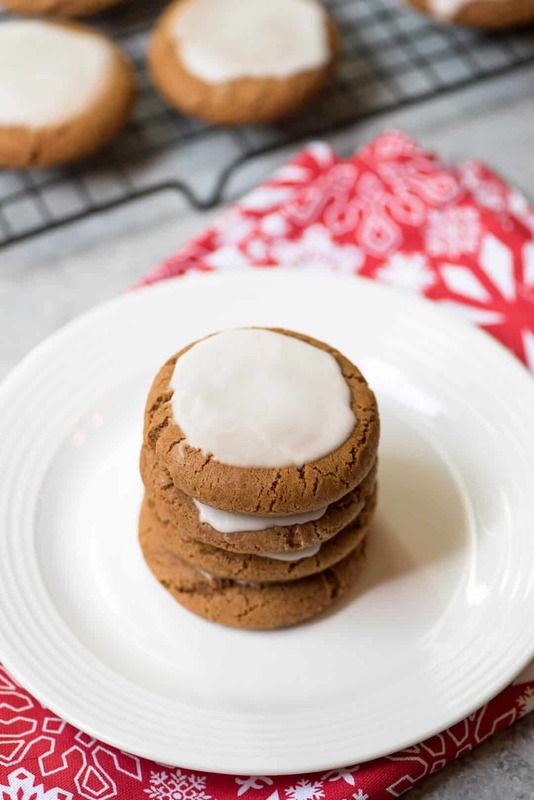 Unlike Mom’s gingerbread boys, there is no rolling or cutting of the dough involved. No intense decorating either. 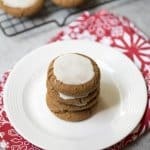 Once they cool they’re topped with a simple but perfectly delicious powdered sugar icing and you’ve got one incredibly delicious batch of cookies on your hands. I can pretty much guarantee they will disappear in nothing flat. The dough is easy, peasy. So easy, in fact, that I’m skipping the step-by-step and heading straight to the baking! But, one important note – the dough should be refrigerated for at least an hour after you mix it up so it will be easier to handle. 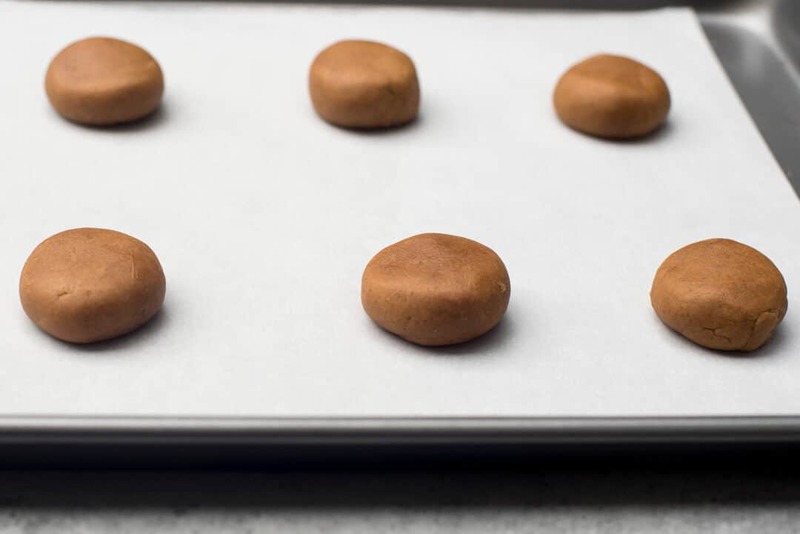 Then just roll it into small 1″ balls and place them a couple of inches apart on a baking sheet lined with parchment paper. Use the palm of your hand to slightly flatten the balls before baking. Bake the cookies at 325 degrees for 12 to 14 minutes until the edges are set. The key to them being soft and chewy is to be sure you do not overbake them so be vigilant and watch them closely towards the end of the baking time. 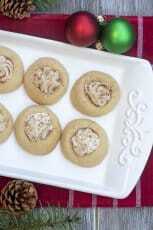 Allow the cookies to cool completely and then top them with the simple powdered sugar icing. To see the entire process in action, watch the fun video at the end of this post. 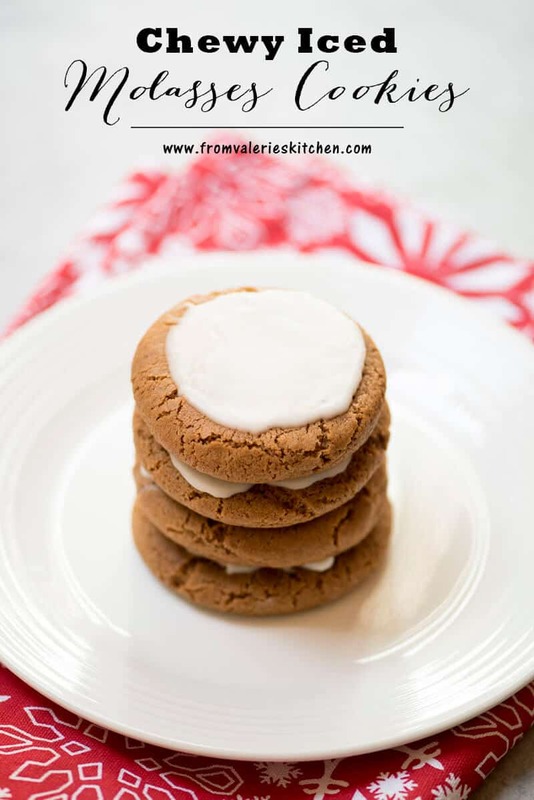 If you are a fan of the flavors of gingerbread you are going to love these cookies! I hope you’ll give them a try and that they warm your heart as much as they did mine. In a medium bowl stir together flour, ginger, baking soda, cinnamon, salt, nutmeg, and cloves. Set aside. In a large mixing bowl beat butter and brown sugar on medium speed for about 1 minute until thoroughly combined and creamy. Add molasses. Beat until combined, scraping sides of bowl occasionally. Beat in egg until. Gradually beat in flour mixture just until combined. Cover and chill dough about 1 hour or until easy to handle. Preheat oven to 325 degrees F. Line cookie sheet with parchment paper. 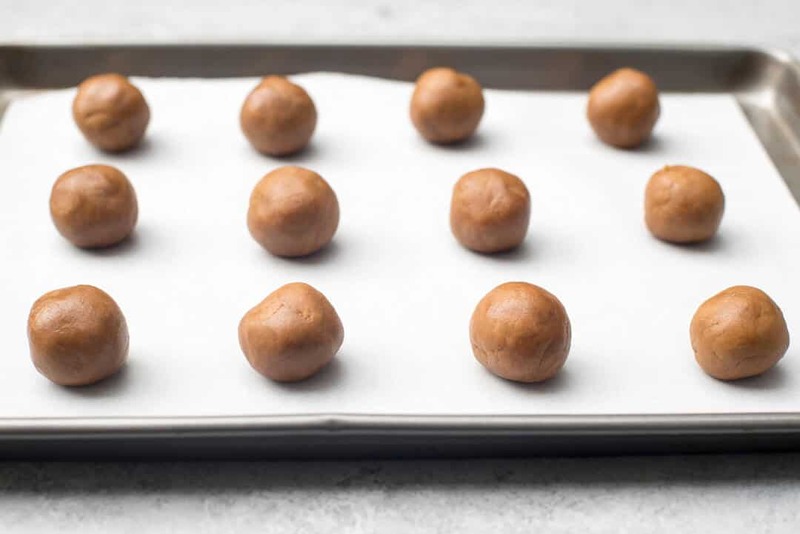 Roll cookie dough into small 1" balls. Place about 2" inches apart on prepared cookie sheet. Flatten balls slightly with the palm of your hand. Bake for 12 to 14 minutes or until edges of cookies are set, being careful not to overbake. Cool on cookie sheets for 10 minutes. Transfer cookies to a wire rack and cool completely before icing. Add the powdered sugar, vanilla, and 1 tablespoon milk to a small bowl and stir until combined. Stir in additional milk, 1 teaspoon at a time, until icing reaches spreading consistency. Once cooled, spoon some of the icing on top of each cookie and spread out with the back of a spoon. 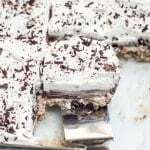 Allow icing to set. Cookies will keep well for several days in an airtight container. These really are soft and chewy! 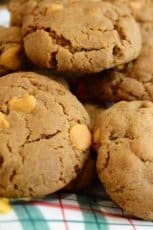 My husband said they are the best cookies I have ever made!!! I’m so glad to hear this, Kim. These are one of my favorites for the holidays! 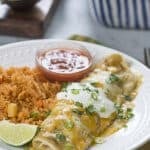 I have made these a few times and the flavor is AMAZING!!! I am having trouble with them rising though. 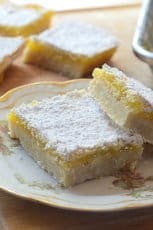 The first time I made them they came out fluffy and chewy, but every other time I have made them they flatten out when I take them out of the oven and are too gooey. I have tried cooking them a little longer to help them firm up a little bit more, but the same thing keeps happening. Any advice? Are you chilling the dough, Emily? The dough should be chilled for at least an hour before baking and I’d recommend chilling it even longer if the dough is flattening out when you bake them. I hope this helps! I do home-baking and these are my best sellers hands down! A fool-proof method for perfection, I drizzle the frosting across them because I can’t get the frosting to do perfect circles. Thank you thank you thank you!! 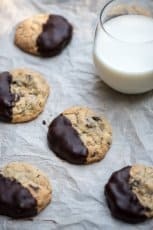 I followed the recipe exactly as it was written and was blown away by how good these cookies are. 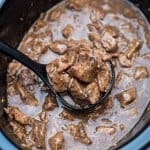 Definitely saving this recipe!!! I really, really want to make these but I do not understand some of the measurements, i.e. the flour and butter mostly. I am a home baker and wonder if those are measurements for a scale rather than measuring cups, which is what I use. Thanks! Hi Sherry. The measurements are clearly listed on the recipe card. For the dry ingredients you would use a dry measure (standard measuring cups) and for the wet ingredients (the molasses) you would use a wet measure (measuring cup). The recipes calls for 2-1/2 cups of all-purpose flour and 3/4 cup (1-1/2 sticks) softened butter. 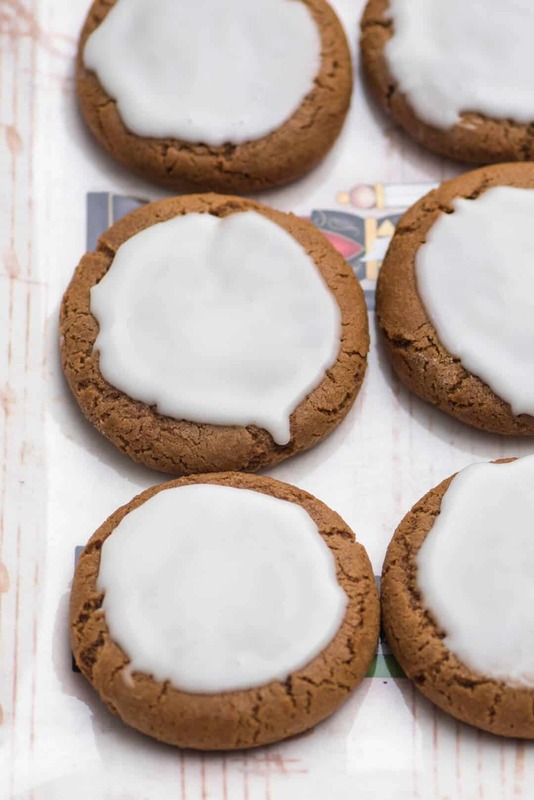 I have been missing iced molasses cookies for years. Bakery wagon used to make these small chewy cookies that I have not been able to find anywhere since early 2000s. 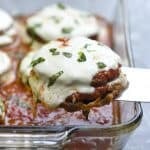 I ran across your recipe and made them for the first time tonight. Amazing!! 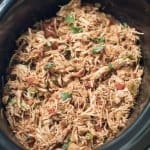 This recipe is perfect and easy to make. Thank you! 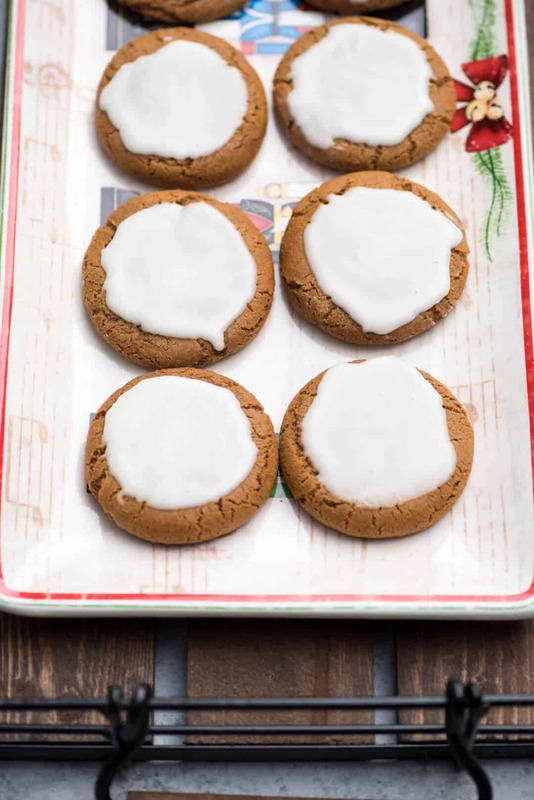 Iced molasses cookies are my fav and your recipe is now my go to! Family and I love them!